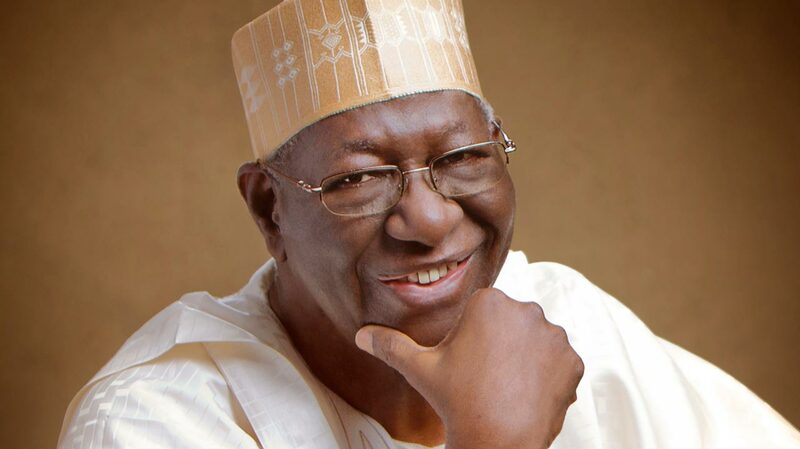 Former Chairman, Board of Trustees (BoT) of the Peoples Democratic Party (PDP), Chief Anthony Anenih, yesterday died in an undisclosed Abuja hospital at 85 years. Meanwhile, President Muhammadu Buhari, Senate President Bukola Saraki, his deputy, Ike Ekweremadu, and the PDP have eulogised the erstwhile Minister of Works and Housing. In a statement by his Special Adviser on Media and Publicity, Femi Adesina, the president noted that he was a “frontline figure in the annals of our country’s political history,” adding that the late politician lived a life of service. In his Twitter handle @bukolasaraki, the senate president described the departed as a consumate elder statesman who played several defining roles in the country’s democracy. On his part, Ekweremadu labelled Anenih a pan-Nigerian and patriot who served the nation to the best of his ability. “He was a humble leader, fine public administrator, political kingmaker, a colossus, master strategist, and a political oracle, who was very vast in political engineering. In a statement by its national publicity secretary, Kola Ologbondiyan, PDP said: “Chief Anenih was a great Nigerian, a light bearer, brilliant administrator, fine officer, quintessential nationalist and democratic icon, who made innumerable sacrifices for the unity, stability and development of our dear nation. The late Anenih was born on August 4,1933 at Uzenema-Arue in Uromi, Esan North East Local of Edo State. In 1951 he joined the Nigeria Police Force in Benin City from where retired as CP. During his service years, he attended the Police College in Ikeja, and went for further training in Bramshill Police College, Basingstoke, England in 1966 and the International Police Academy, Washington DC in 1970. The octogenarian served as a police orderly to the first Governor General of Nigeria, Dr. Nnamdi Azikiwe. He also worked as an instructor in various police colleges, and in 1975, he was assigned to the Administrative Staff College (ASCON), Lagos. Anenih was State Chairman of the National Party of Nigeria (NPN) between 1981 and 1983, helping Dr. Samuel Ogbemudia become elected as civilian governor of Bendel State. He was also National Chairman of the Social Democratic Party (SDP) from 1992 to 1993 when he assisted the late Chief Moshood Kashimawo Olawale (MKO) Abiola to win the June 12, 1993 presidential polls. He was a member of the Constitutional Conference in 1994. Anenih was equally a member of the Peoples Democratic Movement (PDM) until early April 2002 when he transferred to the PDP. The Iyasele of Esanland was said to have masterminded the April 26, 2002 declaration of former President Olusegun Obasanjo at the International Conference Centre, Abuja. The Edo high chief was later appointed Minister of Works and Housing in 1999. He subsequently became PDP BoT chair.